Here in the U.S. a meeting or a greeting starts with a handshake and eye contact. Why is eye contact important? It builds a connection. You can say a lot with your eyes. Raise your eyebrows, give a wink, a come-hither look or a mommy/daddy-stare-down-stop-that-or-I’ll-kill-you-when-we-get-home. Any time you’re frazzled and stressed, lonely or depressed, you can ground yourself by focusing more on looking at one another and less at your device. Did you know that we look at our phones about 150 times a day? What if you looked at the person next to you in line instead of your phone? Connection. So here are two Quick Tips on how to use eye contact at home and work. Because regardless of how many hours you spend at work, or if you work from home, the two are different! Eye contact with someone you love releases oxytocin, aka “the love hormone.” You get this from eye contact with your spouse, your kids, your dog…alas, you have to pet your cat to get it (cat lovers won’t be surprised by this factoid), which is also quite nice. Why is eye contact important at home? So what happens when you take just 3–5 seconds to look into someone’s eyes in the morning, before you start the running-around-getting-ready routine? I read about this in a parenting article when my son was little and it works to ground us in the morning. That said, I am not as good at doing this with my husband even though I know it works really well to connect us. So here, publicly, I promise to do it more! How about it? Ready to give it a try? Last summer I took a class by Mandel Communications called Think and Speak for Results™ where I learned what to say and how to say it in presentations. Among the many things of value in this class was the 3–5-second rule for eye contact. I’ve made more presentations and taught more classes in my career than I can count. When I teach, I think I look directly at people and teach to them. I was surprised to learn that when I made a presentation, I was not adhering to the 3–5-second rule. 3–5 seconds is longer than you think! Why is eye contact important at work? It takes 3–5 seconds of eye contact to make a connection. When you are making a presentation, eye contact draws in your audience and makes them feel as if they are involved. Making eye contact also conveys your confidence. 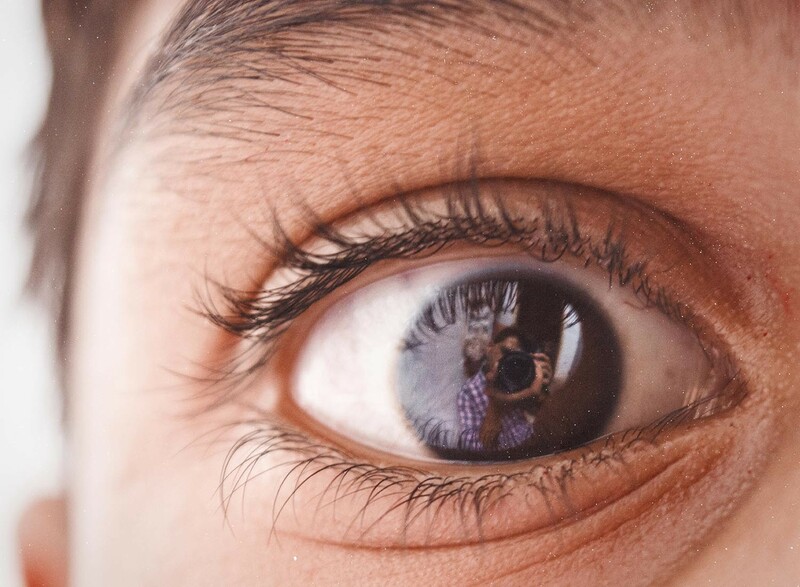 Allow your gaze to linger until you feel a connection has been made, but more than five seconds can be creepy or confrontational. Or it may cause you to fall in love, which could be problematic if you’re married to someone else. Try it at your next presentation and you may be surprised at how hard it is and at how well it works to draw others in. An eye can threaten like a loaded gun; or can insult like a hissing and kicking; or in its altered mood, by beams of kindness, make the heart dance with joy. Look me in the eye and say that: for checking the honesty of a statement, this implies that if you are lying, you will not be able to look me in the eye. We see eye to eye: another way of saying that we agree, which we confirm by looking one another in the eye without averting our gaze (implies honesty, see above). An eye-opener: when you suddenly see the truth. More than meets the eye: to convey that learning more about someone will reveal more than you thought was there after a first glance or first meeting. Eyes are the window to the soul: by looking into your eyes, I can feel what you are feeling. Pull the wool over my eyes: derived from the practice in the 1800s of wearing woolen wigs, pulling one over your eyes means deceiving or misleading.